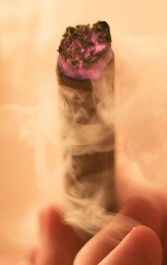 Folks who only enjoy a cigar once in a blue moon typically view cigars as luxuries for special occasions. Graduation. A promotion. The birth of a child. A wedding. You get the idea. Those of us who consider cigars to be a happy and (much more) regular part of our lives, though, don’t require a special occasion to light up. Sure, we might save some of our most prized cigars for meaningful moments—even if that practice is somewhat discouraged by my colleague—but any day of the week is a good day for premium tobacco. For us, cigars are a meaningful component of who we are. We read about them. We collect and care for them. And we smoke them often. If you, like me, smoke cigars during special occasions and most days in between, you may also find that, just as cigars can be a wonderful accompaniment to a joyous event, they can also be a therapeutic relief in stressful or trying times. When something goes wrong, it’s often a good idea to step back from the situation, reflect, and take a few moments to weigh your options or get your mind off the subject completely. These are good days to pull something nice from your humidor. I’ll give you an example. Back in 2008, I was involved in a minor car accident that thankfully produced no injuries but still messed up my car. The car was pretty new at the time, and it was (and still is) the first new car I ever owned. It still had that new car smell. And, up until the accident, I was still obsessing over the tiniest of scratches. Once the accident scene was cleared, the police report was filed, and the insurance company was contacted, I found myself back home replaying the event in my head over and over, stressing and worrying about the whole situation. Accidents happen. Cars can be fixed. But those truths weren’t making me feel any better. So I did what any reasonable cigar enthusiast would do. I grabbed a nice smoke from my humidor, I poured myself a generous serving of rum, and I grabbed a seat on my patio to clear my head. I don’t know for sure, but I’d bet my heart rate and my blood pressure fell to more reasonable levels over the ensuing 90 minutes. Since that crummy day, there have been dozens of times when a cigar helped me move past an unfortunate situation. Maybe you’ve also found cigars to be an excellent (and relatively cheap) source of therapy. If you haven’t yet, consider lighting up something nice the next time you need a quick reprieve from a stressful day. I think you’ll find the practice worthwhile. The car did get fixed, by the way. All of the damage was cosmetic, yet costly to repair. It’s still running well and hopefully will be for years to come. The day it dies, though, you can bet I’ll be smoking a cigar. Agreed. Cigars have gotten me through some things and some bad days. It's healthier therapy than getting wasted or getting violent or taking your anger out on loved ones. Well written Patrick! I'd venture to guess that people who smoke cigars moderately add years to their life by having reduced their stress levels–and those added years are more enjoyable too because cigars were enjoyed along the way. There's no study to back up that position, but there are many lives that bear it out. I've seen on the news, quite a few centenarians who admitted to having a cigarette or small cigar every day, or a small glass of red wine. It's much easier to keep plugging when you're a happy person. Just what I needed to hear today! June has brought nothing but misery. I'm leaving work early and lighting up something that I normally would save for a special occasion. Thanks Patrick! Cigars as therapy mentioned views are seems to me very informative. I'm very glad to read about interesting story. I don't smoke because it's bad for health but now it seems to me a good therapy way to get rid of depression. CEU Physical Therapy Thanks.